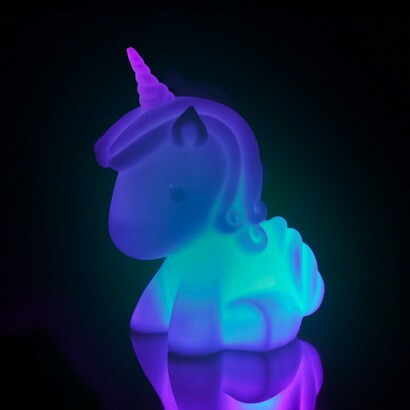 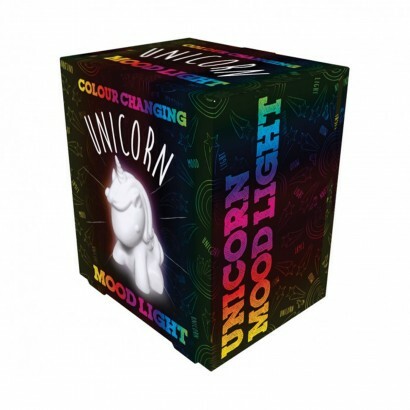 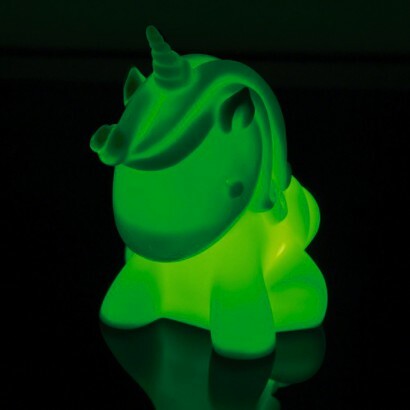 Unicorns have long been associated with rainbows and this cute unicorn mood light embraces the fantasy as it lights up in a whole range of colours! 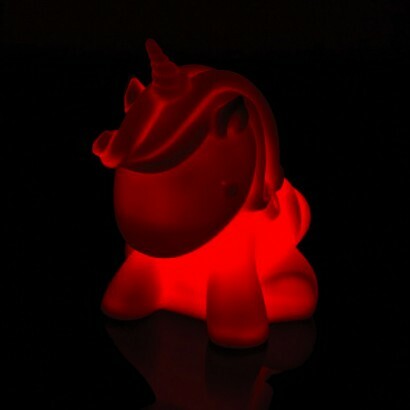 Battery operated and with a colour change LED, place this magical little lamp anywhere in your home for playful colour change lighting. 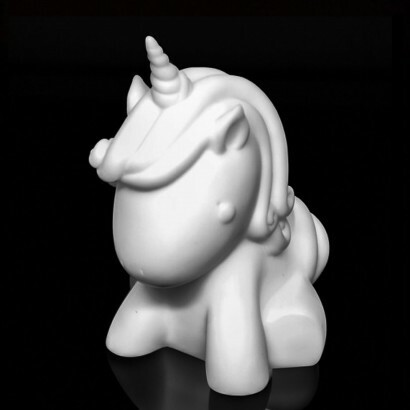 Just the right size to cast soft, colourful light into your room, this soothing lamp adds a touch of magic to kids rooms and more.